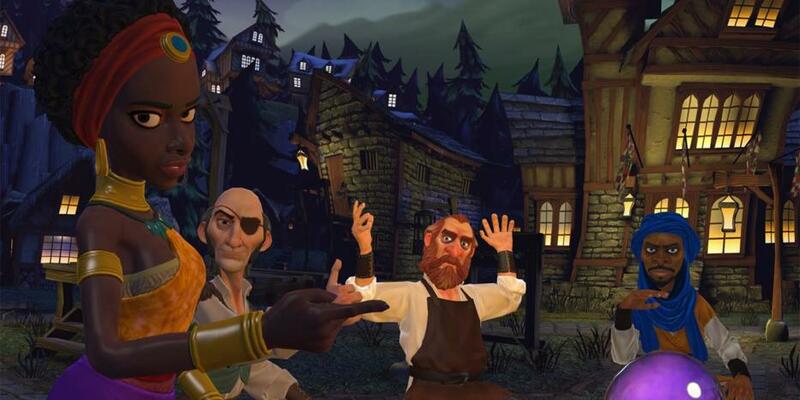 Late last year Ubisoft and Red Storm Entertainment released their social VR game Werewolves Within across the various major VR devices and until recently I never gave it a chance. 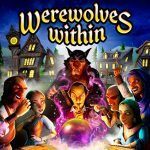 For those who don’t know Werewolves Within is based on the popular board game called Werewolf. Now while this is based on that game there have been some changes made to make it a bit more varied and a bit more fresh. I honestly don’t know why I waited so long to give this game a shot because I can say it has quickly become of of my favorite social games of all time. To start I played Werewolves Within on PlayStation VR on a PlayStation 4 Pro. 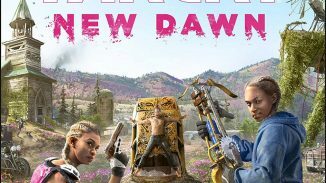 The game is played using the Dualshock 4 and VR Headset and features no PlayStation Move support. Upon starting the game you have the option of jumping into a quick match, hosting a match, viewing your friends list or watching some tutorial videos. If you are new to the game I recommend watching all of the tutorial videos first as they will teach you about all the different roles you’ll play in the game. They are only a few minutes each so it won’t take you long to get the gist of it. To start a match you have to have at least five players and you can have a maximum of eight. In my experience it’s more fun the more players you have but any number works. Each player in the match is assigned a role to play and each has their own job. 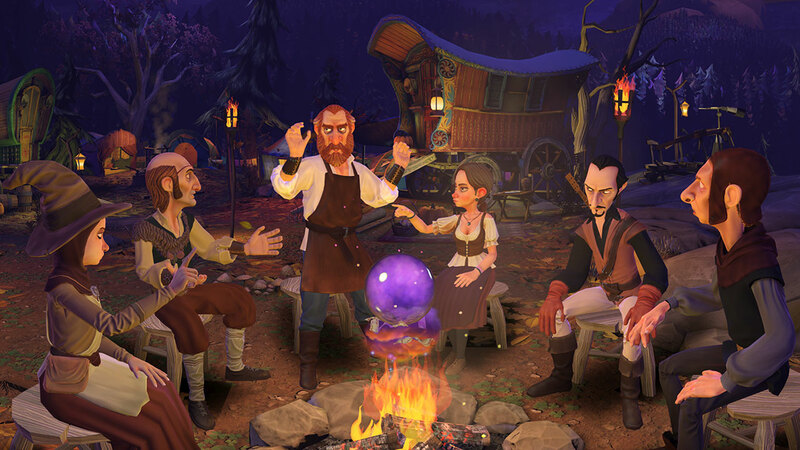 The goal of the game is for the townsfolk to figure out who among them is secretly a werewolf and to vote to kill them. Their can be a maximum of three werewolves in a match and they win by trying to get the townsfolk to kill someone else. Now to go over the roles I’ll start with the Villager who can appoint someone else as a ringleader giving them two votes. However you want to make sure it’s someone you trust so that you don’t give a werewolf two votes to use against you. The Watcher can use their ability to watch someone in the group and learn two roles they could possibly be. The Gossip learns two roles during the match one true and one possibly false. The Astrologer can look to the sky to learn one role that is definitely in play while the Drifter is able to tell two roles that are not in play. 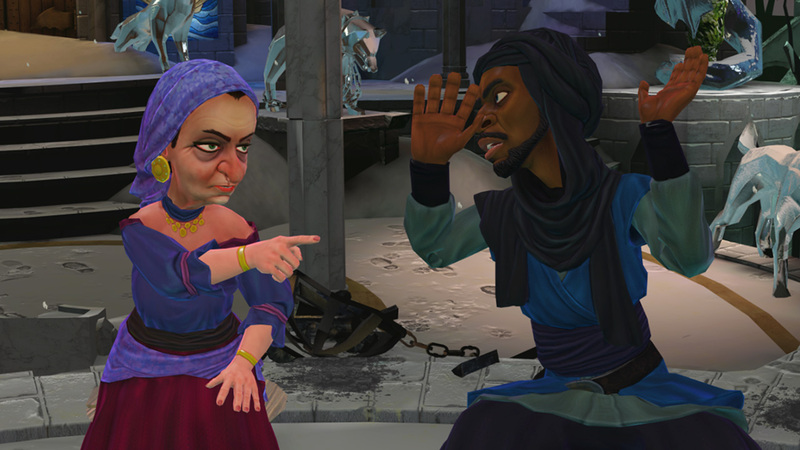 The Houndsmen can lean to their right or left to smell the player beside them and learn their true role only if the player allows them too though. However because the werewolves also have this ability some people frequently suspect the Houndsmen as it’s a good role to pretend to be when you are a werewolf. The Saint can pray to learn the identity of a werewolf in the match. However if the Saint is killed the werewolves win regardless if a werewolf is killed or not so you have to keep your identity hidden while trying to let the others know who the werewolf is. Then there are the Trackers who can lean to their right or left to learn if some of the players in that direction are a possible werewolf. 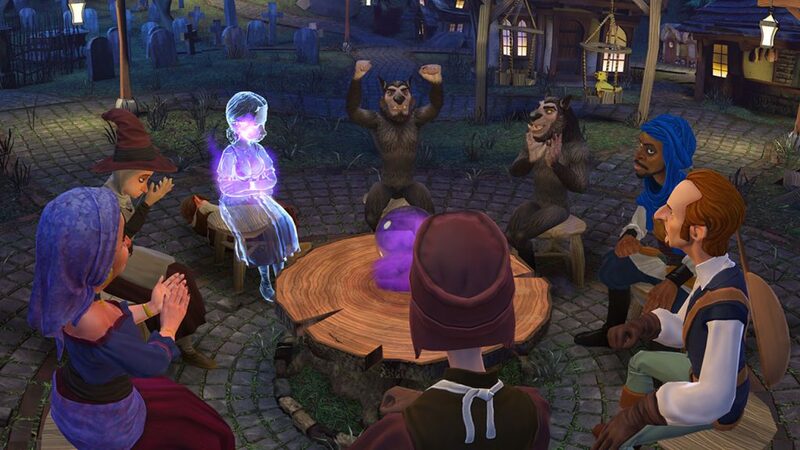 The Turncloak is not a townsfolk but they side with the werewolves and win if they win. They can see who the werewolves are but the werewolves don’t know who the Turncloak is. They usually want to draw attention away from the werewolves and try to make themselves suspicious. Finally the Deviant is maybe the hardest role to play as they only win if they are voted to be killed. Every role is randomly assigned every match so you’ll have to learn to play as each one if you hope to win. It helps keep every match fresh and giving you new things to do. You’ll frequently run into matches where two, three, or even four people might claim to be a special role like a watcher or instance letting you know clearly someone is lying as you can only have one of those special roles each. You also have to be quick and know how to play your role as if you take too long to say something or read something maybe a little suspiciously the others will start to suspect you even if you are innocent. That happened to me one match where I was the Drifter but because I accidentally messed up in reading the two roles not in play the others thought I was making it up and ended up voting to kill me giving the werewolves the win. Matches only last around 7 minutes each so you really don’t have much time to discuss and decide who everyone agrees to vote on to kill. In a game like this you might worry about some people not playing right or communication problems but thankfully I haven’t had hardly any problems in that regard. If someone joins the match and doesn’t talk they usually are voted to be kicked pretty quick. Likewise if someone isn’t playing right they too don’t last long. I have met so many fun random people while playing and have had so much fun playing match after match with them. I frequently lost track of time several nights in a row just playing this game. Usually it isn’t too hard to get enough players to start a match and if there wasn’t enough players in the US region then usually switching over to another like the EU region fixed that problem. 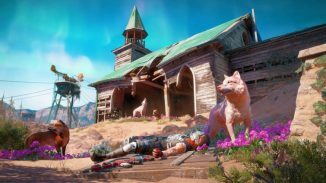 The game is also Cross-Play across the major VR devices like the Oculus Rift, HTC Vive and PlayStation VR which helps finding people to play with easier. Now while mostly everything in the game is fun and great I did run into a few bugs with it. Sometimes when a player leaves or is kicked is causes the in game book to not work for anyone which leads to everyone having to just vote and finish a round to start a new one. Another time a player waiting in the in game queue to join our next match was able to be heard during our match which was a little disruptive as well. Another time I was using my book and when I exited out of it was left with a black screen but could still hear everyone. The only thing I could do was exit out of the game and join back. All of these are minor things but they do need to be addressed. The graphics in the game looked good on the PlayStation VR with great looking characters and good environments. 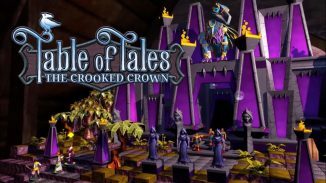 The settings include a campfire, snowy castle, and a village center and you’ll no doubt be like me and look around and admire your surroundings. The giant hole in front of you on the castle map is particularly cool in VR. As for the characters they all help make the people you’re playing with more believable as the mouths move when someone talks and they move their arms around as well. Head movement is naturally 1:1 with the VR headset while the directional buttons on the controller allow you to perform various emotes like pointing or a thumbs up letting you further bring character to your avatar. You can set in the options whether you prefer to have a male or female avatar or just leave it on random. It all just feels really natural and after awhile I started just imagining the people I was playing with as those characters. The last thing I want to touch on is if you like trophies the game has quite a few but sadly no Platinum. Some of them can be pretty tough too such as the one for getting everyone to vote for you while you are the Deviant. 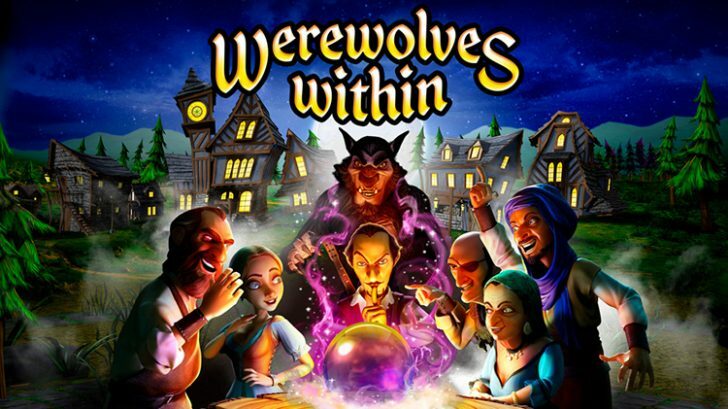 After getting lost playing this game for hours and hours several days and nights in a row I can say that Werewolves Within is one of the best social gaming experiences I’ve ever had. Being in VR it really just further enhances the experience and makes you feel like you really are sitting there in that circle with the other players. The way the game works makes it so the community gets along well and everyone has a better time for it. Yes there are some annoying little bugs here and there and yeah over time it will be harder to find people to play with. For now though It’s a game that I’ll be coming back to over and over just to meet up with some great new random people and have a good time while hopefully catching that werewolf. Great review. Going out to buy this asap.